The idea of “home” is as central to our well-being as “love.” But what do we mean by “home”? By “place”? How do home and place shape who we are? In this workshop, participants will discuss what these words mean, as location and metaphor and how they’ve changed for us over time. The session will explore what others have said in poems, novels, essays, and explore the GAAC exhibit on Home/Place. Eudora Welty wrote, “People give pain, are callous and insensitive, empty and cruel … but place heals the hurt, soothes the outrage, fills the terrible vacuum.” Then we’ll write a brief essay related to this powerful and enduring idea. Prompts will be provided. Please bring a notebook and pen. And, if you like, bring a brief quote, poem, or paragraph that defines “home “or “place” for you. Karen Anderson is a writer who lives in Traverse City, Michigan. She wrote a weekly column in the Traverse City Record-Eagle for 30 years and published two books of columns. Since 2005, she has contributed weekly essays to Interlochen Public Radio. 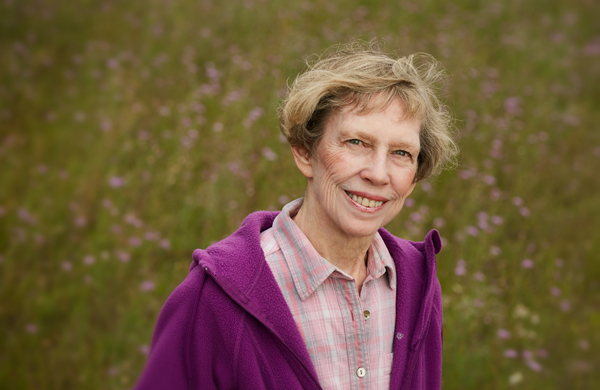 An illustrated collection of her essays was published in 2017, “Gradual Clearing: Weather Reports from the Heart.” Karen has a master’s degree in English Literature from the University of Michigan and is retired from Northwestern Michigan College where she was director of marketing and public relations. Optional: Bring a brief quote, poem, or paragraph that defines “home” or “place” for you. Instructor will provide other materials. We understand that your plans might change. If they do, notify the GAAC office as soon as possible. Requests for cancellation by the student at least seven (7) days prior to the first day of class will be honored (minus a $20 processing fee). NO REFUNDS will be given for a student cancellation made less than seven (7) days in advance of the day of the class.